It is approx 7 inches tall, has cobalt blue feet of an inch in height, from there it gets a little more bulbous as it reaches full height. 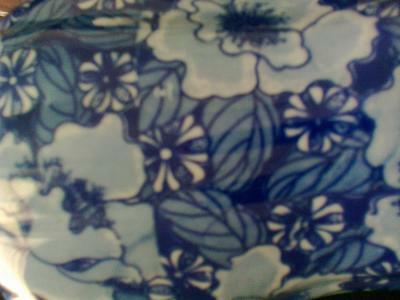 The top is scollped or frilled on the outside edge, has two cobalt or dark blue funny handles. It is covered in blue flowers and leaves, where the edge is, on top it has two holes either side, as if it had something perhaps like a wire going through, maybe to hang it up not sure. Seems a tad strange, and the holes the same area other side are uneven too. Slight indentation inside rim, so maybe at some time a lid too? 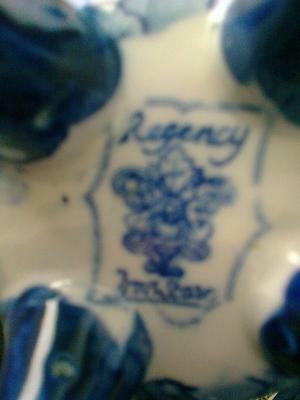 Has a white/off white glazed interior, on the bottom of it, in between the four feet, it has a blue mark on a white bottom, encased in a two lined rectangular shape, saying "Regency" over the top of an emblem or crown, then "Ironstone" underneath that same crown/emblem. You are right, a lovely pot indeed. Very attractive. I fear though, your suspicions are dead right, it is new - probably made in China quite recently. Masons Ironstone is one the best most collected of the antique English china companies from Staffordshire (for details see my makers guide, on this site). 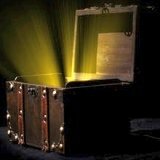 They are very famous, and their markings very specific and very easily identified and dated - that is, apart from the numerous fakes around. This area is rife with fakes at worse and mis-information at best. To my knowledge, I have never seen (which means, I have not seen listed in Goddens Encyclopedia, or any other references or in any previous posts on this site) any previous Mason's mark which includes the term 'Regency'. Here is a picture of a mark on an item for sale online I found today mentioning the name 'Mason's' and also 'Regency', but despite the very official looking registration numbers, I can't find this mark as ever being associated with the actual 'Masons Patent Ironstone China' in my Goddens book. the story of how this mark and this product range came to be. We would have to show it to an expert in Mason's. Maybe it's real, but I can't get rid of the image of a smoke filled basement somewhere in the Orient where men in vests and strange tatoos are saying things like "NO! THAT IS NOT HOW YOU SPELL REGENSY. THAT IS TERRIBLE WRITING. WHY YOUR HAND SHAKE SO MUCH?" I noticed there are quite a few items knocking around eBay and other places online which include this dodgy looking crown mark and "Mason's Regency Made In England C4475 Rd No 821349 in Gt Britain Permanent Detergent Proof Decoration". Perhaps I'm wrong and it is a marketing label of modern owners of the Masons brand? The pattern always seems the same on these wares. The marking of Mason's Ironstone were pretty consistent until their absorption into a huge faceless group in the 1960's, showing their crown and banner underneath saying "Patent Ironstone China". There were variations, but the changes were minimal. On balance I would be wary of anything else and assume it is modern until proven otherwise. The message I am trying to get across is 'buyer beware' don't rush in of you are a person specifically thinking they are buying the famous Mason's brand. If you are just casual buyer like you, Sue, it doesn't matter. If you like something, buy it, but don't pay pumped up antique prices. The term 'Ironstone', was a word coined in the Victorian era for a from of hard, crack resistant earthenware (or stoneware) which was supposed to have some of the qualities of porcelain (i.e. harder and more light and translucent, but also very strong). The reason this ironstone body came about was because porcelain/bone china was desirable but very expensive and difficult to make. 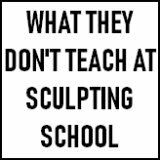 The clay body was always very expensive for makers to buy and also the kilns had to be fired at a much hotter temperature. 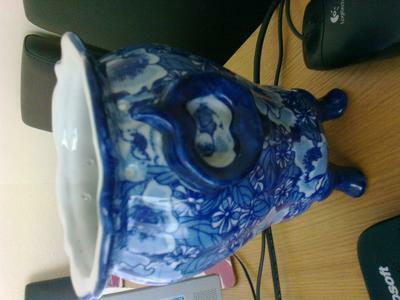 So some makers decided to go down the earthenware route and, which was safer and less of a gamble. Josiah Wedgwood himself shrewdly steered clear of porcelain making for a long time, inventing a hard earthenware based body called 'creamware' which became very popular with his international Royal clientelle, and made his fortune, whilst many porcelain makers were losing their shirts. So the Ironstone makers were following this business model, set a hundred years before. 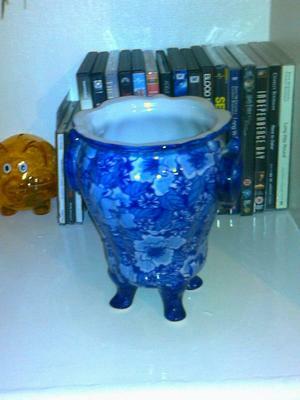 Although your pot says 'Ironstone', it probably isn't. The back stamp on this item has been identified by an appraiser and is not a recently produced fake as you have stated. Who am I to question an expert, when I, myself, do not claim to be an expert in any way, but I feel his statement needs more looking into and more fact-based evidence before I believe it. This "Regency Ironstone" mark is, I feel, a modern invention of a 21st Century Chinese exporter. 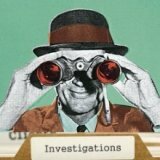 I would love to be proved wrong, so go ahead and shoot me down, but give me better evidence than the 'expert' in this link please. To his credit, he does say the Mason's regency pattern was "copied by several other stoneware companies in later years". He should have stuck to this tack, in my opinion. 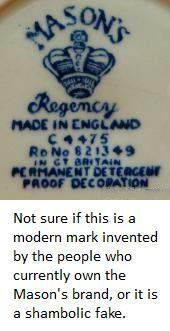 The other mark I show above which mentions "permanent detergent proof", does, in fact, appear to be a genuine modern mark of the marketing company which bought the Mason's brand and continued to make the Regency pattern right into modern times. Don't mistake this modern Mason ware with the magnificent Victorian company which ruled Britannia with its superb wares for so many years. Buy beware fakes. Buyer beware expert services. Hi Sue, hi Peter. I have bought today a pitcher with the Regency mark. It is very interesting to learn about the fact it might be a fake. As I am not an expert at all, I will simply let you know that this mark circulates, and it is very difficult for non-experts (like me) to identify the true ones. Good it cost arround 5 eur. Best regards from Bucharest, Romania, The C.
The words "detergent proof" should have warned you off; detergent wasn't a commonly used household word to mean a chemical cleanser till the early 1940s.